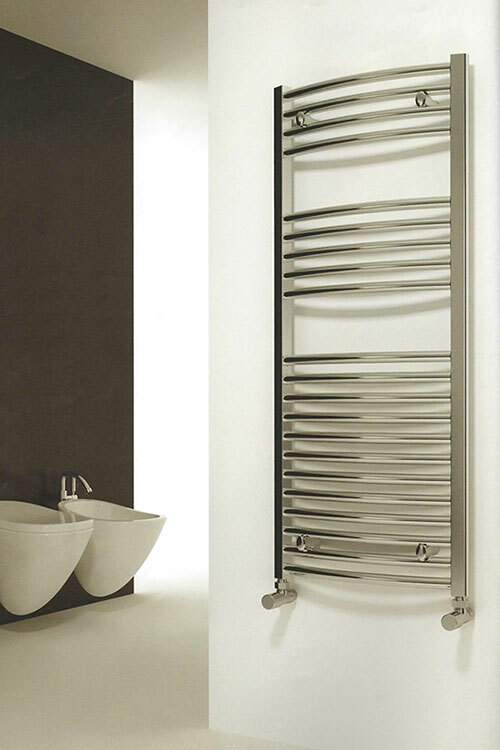 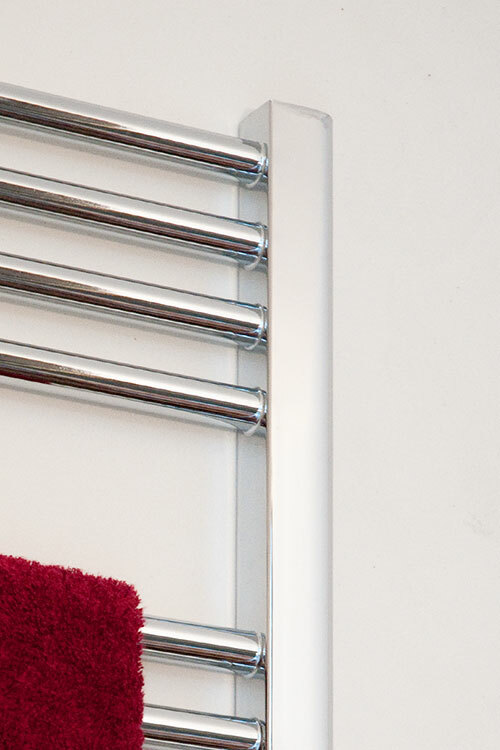 This chrome on steel curved towel rail is our entry level multi-rail. 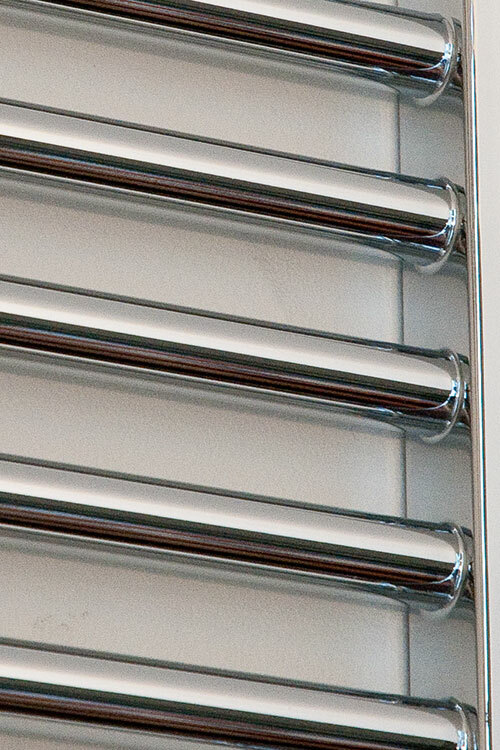 It is a European manufactured (which is important) heated towel rail and is made to the EN442 quality and supplied with a 5 year guarantee. 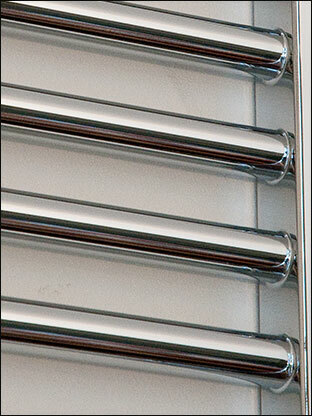 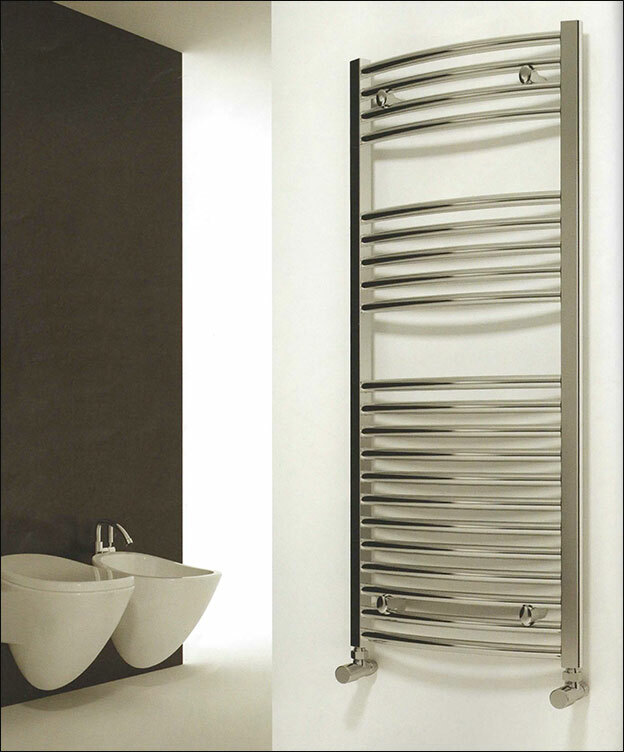 This curved towel radiator is supplied in 12 different sizes for central heating, dual fuel and electric only formats. 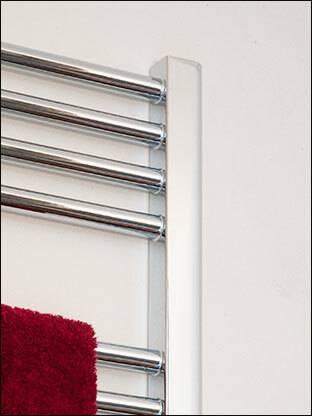 * Lots of towel rail sizes.